The Potentilla genus consists of about 500 species of shrubs, herbaceous perennials and a few annuals and biennials found throughout the Northern hemisphere. 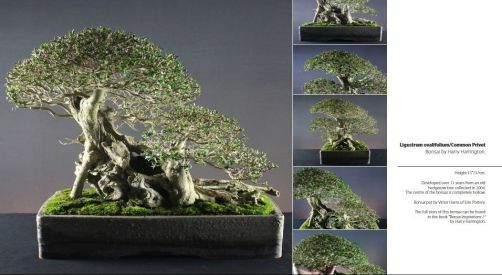 For use as bonsai it is the shrubby Potentilla fruiticosa and its varieties that are commonly used. Potentilla fruiticosa is a compact, bushy, deciduous shrub with pinnate leaves to 4cm long, composed of 5 to 7 narrowly oblong, dark-green leaflets. Saucer shaped yellow flowers to 4cm are borne singly or in cymes of 3, over a long period from late Spring to mid-Autumn. Its bark takes a mature appearance even when young, developing a red-orange colour and peeling off in strips. The trunk of older specimens becomes very muscular as live veins of wood become prominent. In its native habit which includes Europe, North Asia and North America, Potentilla fruiticosa reaches heights of 1metre with a spread of 3metres. There are now many varieties of Potentilla fruiticosa which carry different flower colours of which all are eminently suitable for use as bonsai. FEEDING Fortnightly feed through the growing season with a balanced feed. REPOTTING Every year in early spring as buds extend. Use basic soil mix. PRUNING Growth must be continually pruned back to keep foliage compact, Potentilla are very vigorous and can require fortnightly maintenance pruning. Individual leaves and their stems can be cut back with scissors but it is preferable to gently pinch outpull out leaf stems with fingers to avoid pruning marks that brown off. When pruning large branches consider leaving a stub to create future jins as Potentilla do not callus over pruning wounds. Potentillas are one of the few deciduous trees that suit deadwood styles. PROPAGATION Sow seed outside in Autumn or Spring. Take greenwood cuttings in early summer. STYLING Suitable for all forms in extra-small to medium sizes.